Dubsmash videos are on every social media platforms. So what is Dubsmash – if you are living under a rock then Dubsmash is basically a video messaging app that allows users to enact a scene through expressions. Simply you can lip sync to a songs or recreate a movie dialogues. It’s all about being creative and letting your imaginations run wild. First time views or user of the app misunderstand the primary function of the app as voicing the dialogues or songs. But it is often matching a clip of them performing or enacting a song or a film scene with the original audio. The app of course uses an Internet connection to power it. The app was created by a small team of German developers – Jonas Druppel, Roland Grenke and Daniel Taschik. It was launched in November last year and has since been downloaded by more than ten million people. 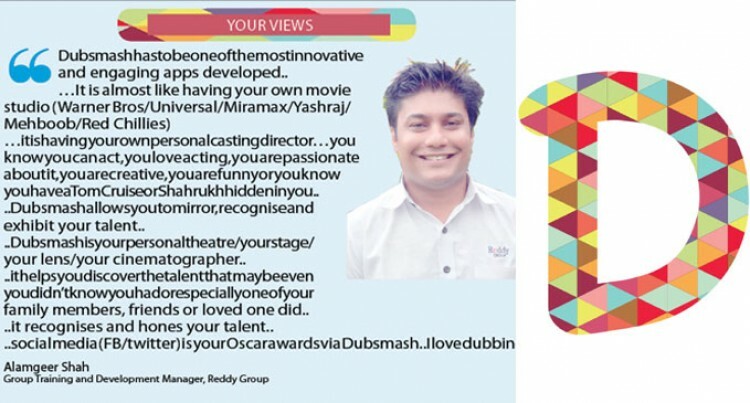 According to the Times of India, Dubsmash fever is also gripping Indian celebrities with actors happily mouthing iconic Bollywood dialogues and songs. There are over 50,000,000 dubbers around the world in 192 countries. Since the app is all about sounds – there are many places you can find sound. Whether it be through trending, discover, search, soundboards or even creating your own sound. Once you have downloaded the app and signed up, on the home screen there is a tab called Trending. It is the second tab on the header. Once on that tab you can select which top recording you would like to dub. All you have to do is simply select the recording and start dubbing. Everyday there is new recording updated to the trending tab which allows you dub new and trending smashes. The discover tab is first tab on the right. Under this tab you can find all sorts of sounds. The first four are the top sounds somewhat like trending tabs. Following that there are several tabs on grouping all similar sounds. The several tabs include Internet Hits, Love, Action, Popular TV, Sport and Commentary, Chick flicks, Popular Vines and much more. This is the last tab located on the furthest right. Under this tab there are two other tabs called My Sounds and Favourites. It also includes an Add Sound pop up. The My Sounds tabs are sounds recorded uploaded by the user. Next to each sound there is a star this star represents favorite. You can favorite sounds and return to them through this tab. Once you are satisfied with a particular sound you have selected through the various selecting options. YOU CAN START DUBBING!! The app will take a few seconds to prepare your sound then there will be a soundwave on the top of the app and a selfie camera. You then look directly at the camera section and enact your selected sound. After dubbing you can be creative through adding filters or text to make it even better. You must be a Dubber! After you have selected a sound and conducted your dubbing you have to share it. The sound can be shared through Facebook Messenger, Whats App and Save to Gallery. Although it does not give more options for sharing you can save it to your gallery and then share it. The video format allows you to share to other social media apps like Instagram, Facebook, Twitter, Tumblr and Vine. Once on search bar type in Dumbsmash and then select the install button. When the App is installed on your phone a notification will appear. Once the App is installed you are ready to start dubbing.